Now I suppose one way to live life is to deny yourself things that you want and save every single penny you possibly can so that one fine day in the future you can enjoy life. So if you want and need a car you could deny yourself a car and save a lot more, but your life might become more arduous as a result. I prefer balance and moderation to life. I want to save but I also want to enjoy in the here and now. I also like cars, so I want to buy as nice of a car as I can afford while still saving for my future. For me, buying used gives me that balance. Maybe it will work for you too. The median household income in Canada in 2015 was $70,336 according to Statistics Canada. After tax (assuming federal and provincial taxes for a family living in Ontario) that works out to about a median take home of $53,049. The average monthly car payment on a new car was $570 in Canada in 2015, or $6,840 annually. Or almost 13% of takehome pay for annual car payments. Maybe you think 13% of takehome pay is an acceptable amount to pay for a new car. I believe one of the financial problems today is that people's thinking has shifted to a monthly outlook. "If I can afford the monthly then it's a good deal." This line of thinking is leading people to take on way too much debt, whether from buying too much car, too much house or too much on their credit card while making minimum monthly payments on it. The problem with this line of thinking is it assumes you will always be employed making the same amount of money forever. It doesn't take into account the idea that you could lose your job, then how will you make that monthly payment? You or your spouse might need to quit your job to raise a child or because your child needs extra care, then how will you make that monthly payment? You might get sick and not be able to work, how will you make that monthly payment? Your parent might need extra care either personally from you or financially from you, then how will you make that monthly payment? You might get an unexpected expense, how will you make that monthly payment? You might one day want to actually stop working and retire, but if you've always just been able to make monthly payments without ever saving, how can you retire and keep making monthly payments??? IS THAT ALL YOUR TIME IS WORTH? A CAR? I suggest you stop thinking in terms of whether you can afford the monthly. Since it takes time to make money, I suggest you think about purchases in terms of how many days you have to work to buy the car. If the average family take home pay is $53,049 and a family buys a Honda Civic Si for $30,357.50, that means the car costs 29.8 weeks of the family working, or 149 days of work just to get a car. Assuming the family works 5 days a week, that means they would have to work from January 1st to almost the end of day on July 28th just for a car, you still need to work to pay for everything else in your life that costs money. So is 149 days of your family working worth a car? The next time you're at work be very conscious of everything you do and probably suffer through in your work day and try to decide if 148 more of those same days of work are worth the car you buy. All that time, what's it worth to you? A car? If you think working more than half a year of your life for a car is a good way to literally spend your time, then maybe you need to think more about what else you could be doing with that time. Also think long term. What does that new car payment mean to you 3 years from now, 6 years from now, 15 years from now, 25 years from now? How much will you have left every month to set aside for savings, investing and retiring? How much does that debt really cost you? How much does that nicer upgrade really cost you? Can you find a car that you will like that will take fewer monthly payments or that you can buy with cash on hand, allowing you to save more for your future? For example, you could have a car payment of $465/month for a new economy car priced at $16,000 financed at 3% and have the car paid off in 3 years. Or you could have a car payment of $486/month for a new mid-size sedan priced at $32,000 financed at 3% and have the car paid off in 6 years. The monthly isn't the whole picture. The person buying the economy car had 3 years of payments and then 3 years of free and clear ownership of the car with a freeing of $465/month that could be invested for retirement compared to the buyer of the $32,000 car. To buy more luxurious cars or cars that consumers really can't afford, consumers are taking on longer term loans to make the monthly "affordable". In fact, 70% of new auto loan bookings have terms of 6 years or more (according to the Financial Consumer Agency of Canada 2016 report). It used to be that 5 years was the longest term you could get for a car loan. What's worse is in 2015, 30% of people were breaking those loans in year 4 when they still owed more for the car than the car was worth. They then traded in the 4 year old car, and got another new car. But to do so, they had to take on debt for the new car and add on the remaining debt from the last car that they hadn't paid off yet! This is a terrible debt spiral! A treadmill where the more you run, the further you have left to go... If you've ever run on a treadmill, that's torture!! It's nuts!!! Whatever happened to living within your means? Or below your means? Or lowering expectations to a point where you can actually afford things? It's a big reason why I advocate buying a used car with cash you have on hand that you can spare. Buying a new car, is a bad financial investment, especially taking on a loan for it, even if you think you can "afford" the monthly payment. So lower those expectations of what kind of car you should have, you should have the kind of car that you can afford with cash on hand. You're not entitled to a brand new Mercedes or a brand new Kia. Look at your own financial situation and set your expectations accordingly. Live below your means, take the savings from doing so and invest and get yourself to financial independence. If all you can afford right now with cash on hand is a 5 year old Kia, then that's the car you are entitled to. The car companies will tell you that you can afford the monthly or the weekly. But they aren't looking out for your financial interests, they are only interested in taking cash out of your wallet. The more expensive the car you finance with them, the better it is for them. They make profit on selling you that new car and on all the interest you pay them to finance that new car that you shouldn't be buying. BUY 5 YEAR OLD USED CARS, THEY'RE GREAT AND 60% OFF! On average, a new car will depreciate by 60% over the first 5 years of its life. ( https://www.carfax.com/blog/car-depreciation/) But a 5 year old car is nowhere near ready for the junkyard. These aren't the old days, cars are lasting longer and longer. I owned a Jetta for 16 years without any major repairs required. More on that Jetta later. According to a 2009 Natural Resource Canada report, 14.6% of vehicles on the road in Canada were 13 years or older. That means, you can get at least 8 years more out of a car that is already 5 years old. When I was in my mid-twenties, in 1994, I bought my first car. I had just finished my degree and had student debt and was taking a one year apprenticeship that would pay me $12,000 for the entire year. It wasn't much money even back then. I had just a little money saved from having worked a retail job through university and I needed to spend it wisely. Rather than taking on more debt on top of my student debt by buying a new car, I decided to live within/below my means. I decided to buy a used car with the cash I could spare, while having enough left to pay first months rent on an apartment and buy food and pay utilities. The budget I had was $1,200 for a car. Not for an iPhone, for a car. 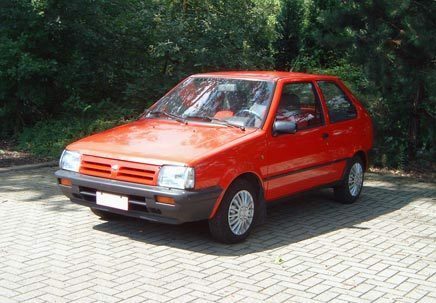 I checked out the local ads, checked the local used car dealers and found a pretty clean red 1988 Nissan Micra (that my friends would later refer to as the Mr. Bean car) for $1,200. It was the only car that seemed in decent shape for the price even though it was 6 years old. The only catch, it was a manual and I didn't know how to drive a manual car. But when you find a great deal, you find a way to make it work. Saving money isn't always easy. But, every problem has a solution. There's a key lesson here, buying a car I could afford to buy with cash on hand kept me from adding to my debt. I didn't feel entitled to a fancy new car, I was entitled to a car I could afford with cash on hand. A car is a depreciating asset (except for classic collector cars that appreciate but that's another discussion), so why debt finance a depreciating asset that makes you no money. Unless you're opening a business that allows you to profit from a vehicle because maybe it's a food truck, or you're a contractor and owning a pickup truck allows you to run your business, debt financing a regular use car is a waste of money. I'm of the belief that you should only buy as much used car as you can afford given your personal financial situation, with cash on hand and spend as little as possible while still finding a car that meets with your criteria. You want to be able to save money, but you still want to be able to enjoy the car you drive. In my 20s I definitely enjoyed my Mr Bean car and $1,200 was all I could afford. Forget about what you think you are entitled to, think about what you can really actually afford to purchase with cash on hand, not what you can 'afford' by making monthly or weekly payments for 7 or 8 years. More recently, in 2016, I was looking for a "new to me" car. My previous car, a lovely 2001 Jetta GLX VR6 manual that I had bought new in 2000 for about $30,000 (What a waste of money! ), was now 16 years old and starting to make sounds that meant a repair bill was coming that I wasn't going to want to pay. Instead of selling it to someone and having them get a nasty repair bill, I donated my Jetta to a charity where they assess whether it's worth fixing and selling or whether it's so bad they should just sell it for scrap. Either way, the charity benefits. Based on the reaction of the guys who came to pick it up, they seemed to think it was in better shape than most of the cars that get donated to them, even though I told them some sounds had started coming out of the car that indicated a repair was imminent. I think they probably fixed it up and sold it. I got a nice charitable donation receipt for $900 and I helped out the Canadian Guide Dogs for the Blind ( guidedogs.ca). ​I could have sold the car instead and maybe gotten $1,200 for it but I didn't think it would be worth the extra hassle. If you still have a lot of value left in your car if you were to sell it, then maybe you shouldn't be getting rid of it, maybe it means you can get a few more years of ownership out of it. Then when it's really ready to be gotten rid of, a charity will be happy to have it. I MADE THE MISTAKE OF BUYING NEW, NEVER AGAIN! In retrospect buying the Jetta new and debt financed was a big mistake. I had just landed my first post MBA job and was making more than I ever had before and felt flush with cash. And so when the dealer put me in the best VW Jetta money could buy with a throaty VR6 engine and plush leather seats, I pounced on it. I debt financed that $30,000+ car over 5 years, spending way too much on a car and losing even more in opportunity cost. I got suckered by the car company. The car company won. They took more out of my wallet than I should have let them. I should have instead found a used Jetta that was in good shape that I could afford with cash on hand and been happy with that. It was a terrible financial decision. I guess that's why I held on to that car for 16 years, trying to squeeze as much value out of that spend as I could. That new car spend experience solidified my resolve that my next car would be a used car. So in looking for a replacement for the Jetta, I knew I was not going to waste money on a new car again. 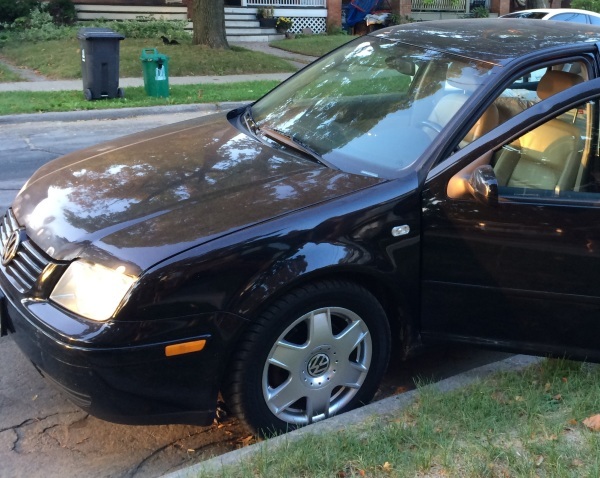 I knew I wanted a used car, but I really liked driving the 2001 VW Jetta GLX VR6. I had gotten use to the luxury of the leather seats, the power of the VR6 engine and the solid handling of a German car. It had gotten a bit loud on the highway in its later years and I was looking for an equally well performing if not better car that was quiet on the highway and great for roadtrips. As I had gotten older and was now in my late 40s and could afford to spend more cash on hand than I could in my Micra days, I also wanted a car that didn't make my back feel like it had battled with the seat the entire time I was driving it. I decided to stick with the VW family and started looking at the luxury brand, and settled on the Audi A4. Now that was a long preamble but here's where I get to the point of the matter. You see I'm not one to deprive myself, but I'm also not one to waste a lot of money. For me, money means freedom. Financial freedom to do what I enjoy. But it also takes some money to buy a car I like. So for me, after having lunch with a buddy of mine who showed me his brand new Audi S3, I started to realize a car I like is the Audi A4. But a brand new 2018 Audi A4 Komfort (the base level car) sells for $42,700 plus $2,095 for freight and PDI (according to Audi Canada), for a total of $44,795. Though I could get financing for a $44,795 car, to me it seemed like a lot of money for a car. It's actually a lot more money from the point of view of future you! Some people convince themselves to buy things by saying "I deserve it". I also look at what future me deserves. It helps me find a happy medium. 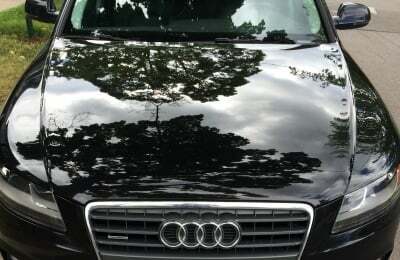 I decided my maximum budget for a used Audi A4 was $20,000. For me that was an amount I could afford with cash on hand and still have money for my savings. I have been saving and investing my entire working life and have been fortunate, and so my means have improved since my Micra days. Now I could afford a more luxurious used car with cash on hand. The amount was less than what I had spent on a new Jetta. I planned to keep the used Audi for at least 10 years. Given I had kept the new Jetta for 16 years, I think it makes sense to keep a 5 year old used car for 10 years. That would work out to $166.67/month, well below the average Canadian monthly car payment of $570. Even if I assume a 5 year payoff period, the monthly would be $333.33 still below the average Canadian monthly car payment. And in terms of time spent working to pay for it, it was less than 2 months of after tax income. Though my means had improved since my Nissan Micra days, I still wanted to live below those means and save more for my portfolio while getting a car I knew I would enjoy. I did a lot of searching on Autotrader.ca, went to a lot of used car dealerships, called a lot of sellers, and spent the better part of a year looking for the right car, and I finally found a winner. A 2012 Audi A4 2.0T with manual transmission. (Still love driving a stick shift.) Black on black. Asking was around $22,000 and the seller claimed to have full documentation of maintenance records. I met the seller and took if for a test drive. It was a sweet ride. The best car I had ever driven. And the guy who was selling it turned out to be a good guy. He provided me with all the maintenance and repair reports which showed he had recently gotten the tires, brakes and fuel filter replaced. So it was pretty much in as good shape as a 2012 Audi A4 could be. To make sure it was in good shape, after giving it my untrained once over and seeing that I could not spot anything out of the ordinary, I paid an Audi Dealership to give it a $200 maintenance check. They did their assessment and the report came back positive. Another buddy of mine who does body work also gave it a look over and noticed some small dings but no major concerns. To make sure there were no debts owing on the car I paid to get a CARPROOF report which shows if the car has been in any accidents, if any liens are registered against it, and to make sure it's not a stolen vehicle. The report came back clean and I decided to make an offer. The private seller and I haggled for a bit (you should always haggle) and finally agreed to a price of $18,800. I called my car insurance company to let them know I was buying a used car that I would need coverage for and they made the changes to my car insurance policy that would let me be able to drive the car the next day. I met the seller the next day at a branch of a bank I have an account with, checked the VIN on the car by the corner of the windshield and made sure it matched the vehicle permit, looked over the Used Vehicle Information Package, got the Drive Clean emission test from him, handed him a certified check for the full amount and he handed me the bill of sale and the keys. He was even nice enough to fill up the tank for me before handing it over. I drove it to the nearest ServiceOntario centre and registered the car and got new license plates. There's all kinds of information on buying or selling a used car here: https://www.ontario.ca/page/buy-or-sell-used-vehicle-ontario. Buying the Audi with cash felt as great as it did the day I paid $1,200 cash for the Micra. Buying within or below your means for a car you like and driving away with it free and clear with no money owing on it is a great feeling. 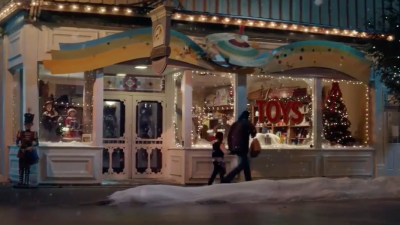 Way better than the feeling I had when I took on debt to buy the new Jetta. That's why I believe you should buy a car with cash on hand even if it means reducing your expectations and buying a used Nissan Micra if that's all you can afford. It'll feel better than buying a new Jetta with 5 years of debt payments... trust me! Even though the seller had handed me over the car in very clean condition, I spent the next weekend detailing the car by hand, vacuuming out the crevices, Armor-All-ing the dash, leather treating the seats, and windexing the windows. By midday Sunday, it felt like a brand new car to me. All the sweeter for having picked up this Audi A4 "new to me" car for only $18,800. It felt like a $44,000 new car to me! I know there are folks out there who would say that the repairs on a used car, particularly a luxury German car, will be very expensive and that in the long run the cost is similar to buying new. My experience with another German car, my VW Jetta, tells me different. I took good care of that car and for 16 years it treated me quite well, with no major repairs beyond normal maintenance required. It also helps to have a good and honest mechanic you trust to do general maintenance work for you. So I expect regular maintenance to keep this used Audi in good shape as well. I've owned it for over a year now and have had no problems at all so far. It's still a sweet ride. Also since I plan to keep my used car for at least 10 years and because I live in a part of the world where they salt the roads in winter, I plan to get my car rust protected every year. I took it to a Krown Rust Control location last year and again this year. Each annual application of rust control at Krown cost me about $120 after tax and there was a small discount for being a CAA member. But I believe that investment will more than pay for itself in saved repairs and increased longevity for the car. To make sure I was safe driving in the winter, I bought Nokian Hakkapeliitta R2 winter tires from Kaltire. The car drives even better with those Nokian Hakkapeliitta R2 tires than it does with my summer tires. Now I look forward to driving in the winter. I chose Kaltire because the price for the tires was the same as anywhere else (they'll even do a price match if you find cheaper tires somewhere else) but they were offering a promotion where if you bought your tires from Kaltire, they would do the summer/winter changeover for free for the life of the tires instead of having to pay $40 to $60 every spring and fall. To me Kaltire was a good deal and another way to save a little more cash. I went out and bought some high wall high quality car floor mats to keep the salt and slush of winter from getting into the floor panels. I found a set at Findway.ca that cost me about $113 for the whole set. The floor mats are really easy to clean, I just hose them down in spring and let them dry in the sun and they're ready to be put back in. I chose Findway.ca as they were pretty much a custom fit to the floor shape of the Audi and it was much less costly than the $270 price for a whole set for an Audi at WeatherTech.ca. I also set a notice for sale items on Canadian Tire's website, so now when the synthetic oil, oil filter and air filter's for my Audi go on sale, I get an email. I can save some money by picking those items up when on sale at Canadian Tire, holding them until I need to do regular maintenance and do the oil change and filter changes myself. But back to how buying used helps you save. Let's look at the math on the 2018 Audi A4 for $44,795 vs the 2012 Audi A4 for $18,800. That's a difference of $25,995! Invested as a lump sum in your portfolio at the market average of 7% annual gains, that $25,995 grows to a difference in portfolio value of $36,459 by year 5, $71,721 by year 15 and a whopping $141,085 by year 25! So the question is, is that new car worth so much to "today you" that you're willing to take $141,085 from "tomorrow you"? That new car means $141,085 less for you in retirement. And if you finance the new car, you're still worse off, just slightly more worse off than paying cash for the new car with $3,032 less to your name. If you take the difference between the new car price and the used car price of $25,995 and you divide that by 60 (5 years worth of monthly payments) you get $433.25. If after you buy the used car you save $433.25 each month because you didn't buy the new car and you invest it in a balanced portfolio earning the market average of 7% annually, in 25 years you will have $120,729. So either by lump sum saving or by monthly saving and investing, you're way ahead of the person who bought the new car. ​​How important is $141,085 at retirement? According to Statistics Canada, in 2012 the median net worth of all family units aged 65 and older was $460,700. That means that new car premium would turn into about a third of the net worth, not just the savings, but a third of the entire median net worth of a senior Canadian family. Net worth includes investments, cash, a home and other assets. Almost a third of that is pretty significant. When you're nearing retirement, I bet you'll wish you had an extra $141,085 sitting around. Now even if a repair or two comes up on the used car by say year 5, that wouldn't have come up on the new car, you're already ahead by $36,459 by that point so it won't make much of a difference to the fact that you're financially better off buying the used car. Also if you only keep the 5 year old used car for another 5 years, the depreciation loss will be less on the used car than the depreciation loss experienced from buying it new and selling it 5 years later. Anyway you look at it, buying used makes more sense. Every $1 you save today by buying used is $5.43 extra in your retirement portfolio 25 years from now. Whether you are buying an Audi or a VW or a Nissan Micra, or whatever car you prefer and can afford with cash on hand, buying it used will help your retirement account. Just invest the difference you save by not buying a more expensive new version of the car. The cheapest new car in Canada is the Nissan Micra. A brand new 2018 Nissan Micra S costs $11,614 after freight and PDI. You better know how to drive a standard though, the automatic costs $15,374 (a differnce of $3,760 or $20,417 in 25 years!). So let's say you like and can afford a new Nissan Micra, what if you bought a slightly used Nissan Micra instead? I found a 2015 Nissan Micra S with manual transmission and 43,000kms on Autotrader.ca listed for $7,655. Assume you don't haggle (you should always haggle) and pay $7,655 for the used car, that's a savings of $3,959 compared to the new car price, which, if invested, turns into an additional $21,497 in 25 years. The best selling car in Canada for the first half of 2017 was the Honda Civic with 37,180 units sold. A brand new 2018 Honda Civic Sedan DX (the base level) is $18,457.50 with freight and PDI. A used 2015 Honda Civic DX with 10,441km is available on Autotrader.ca for $11,997, a savings of $6,460.50 (that's 35% depreciation in 3 years!) or $35,080 in 25 years. The 2018 Honda Civic Sedan Si (higher level) is available for $30,357.50 with freight and PDI. A used 2014 Honda Civic Si certified pre-owned with 72,417kms is available for $19,985, a savings of $10,372.50 (34% depreciation in 4 years!) or $56,322 in 25 years. The 2018 Honda Civic Type R (high end sports level) is available for $42,757.50 with freight and PDI. The Honda Civic Type R is a new model so there are no used versions available, but assume 60% average depreciation over 5 years and it will be available 5 years from now for $17,103. A savings of $25,654.50 or $139,303 after 25 years. Another point here, for those of you who like to or who feel compelled to keep up with the Joneses... that's a horrible way to live your life, trying to impress people with material possessions, so stop it! But if you can't stop no matter how hard you try, consider this... how will they know when you pull up in a 2012 car that you didn't buy it new? It might just be your new car that you've owned for 5 years. Only you will be the wiser! So be wiser... buy a used car. Wash it, clean it, make it look great. They won't know! So, can you find a car you like, that suits your purpose, that is used, safe, in great shape, and is within/below your means becaused it's priced so well you can buy the car with cash on hand, well below the price of a new one, and have money left over to put towards your investment portfolio? If so, I suggest you buy that used car and then spend a sunny weekend detailing it to the point where it becomes a "new to you" car. Then "today you" will be very happy with your sweet ride and "tomorrow you" will be very happy with the extra savings in your retirement account. Then get out there and enjoy your "new" car. With winter coming, I'm getting ready to enjoy driving my car up to a ski hill for some snowboarding! Buying a used car... that's one way a SmarterSquirrel is able to save more, which helps with your investing, which helps with your enjoying!